Attack surfaces are growing thanks to new IoT gadgets, BYOD movement and a general lack of vigilance. 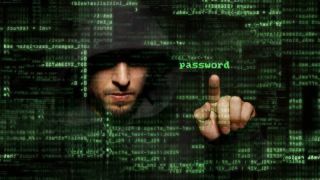 More than half of businesses in the EU have had their operations disrupted by cyberattacks in the past 24 months, highlighting the size of the problem organisations everywhere are facing. This is according to a new report by Kaspersky Lab, which says that some of the reasons why businesses are feeling the heat is the fact that the attack surface is growing, with all the new IoT gadgets, the BYOD movement and a general lack of vigilance. Then there is the complexity of IT business infrastructure, as well as the ‘continuously evolving threat landscape’. The number of attacks, if it isn’t growing, then it’s stalling. It’s not diminishing, that’s for certain. Among those that fell victim to a disruptive attack, a fifth is saying hackers left no clues to their identity. When it comes to consequences, it mostly revolves around service disruption, issues with data integrity and data loss. Businesses in the UK and Spain are most at risk, it was added. Reaction times are also being mentioned as one of the more important factors to an (un) successful data breach. The faster the company can react, the better. Almost three quarters find out about a breach within eight hours, 25 per cent aren’t aware in the first few hours and don’t move a muscle.